The entire 150 cc scooter range of Vespa and Aprilia has been updated for the 2019 model year with new colour options, new features and more. 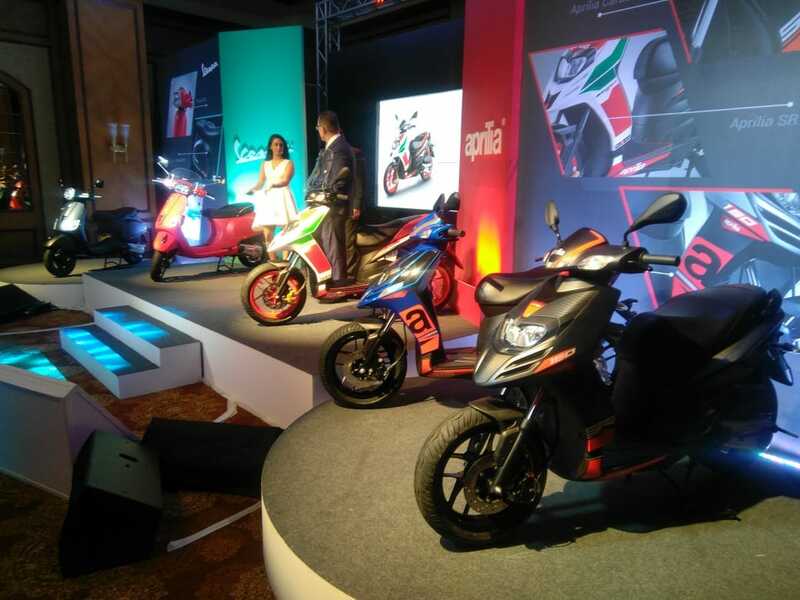 Piaggio's Vespa and Aprilia brands today updated their respective 150 cc scooter line up in India and we have all the highlights from the launch here. The 150 Vespa range, the SXL and VXL has been updated with two new colour options - Matte Red and Matte Yellow. The Aprilia SR 150 range, on the other hand, including the SR150 Race edition now come with new colour options and revised graphics. On features front, the SR 150 range comes with a part digital part analogue instrument cluster, new tyres, and under seat USB charging port. In addition to these features the SR 150 Race gets adjustable shock absorbers, and new windshield. In addition to that, both the scooter brands now also offer two special edition models. 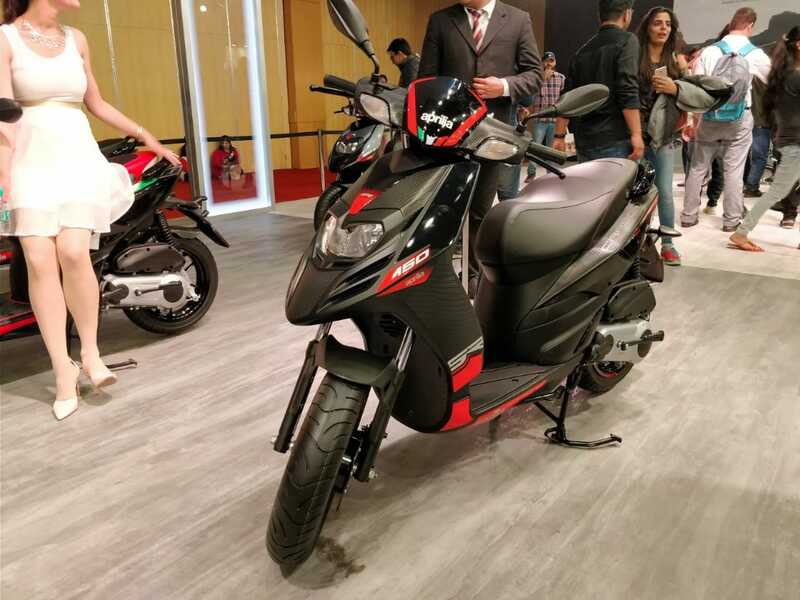 In Vespa's case we have the new all-black Notte edition, which is already on sale, while Aprilia introduced the new SR 150 Carbon, which we first saw at the 2018 Auto Expo. The Vespa Notte will is based on the base model SX in the Vespa range, while the new Aprilia SR 150 Carbon will be a limited edition model. 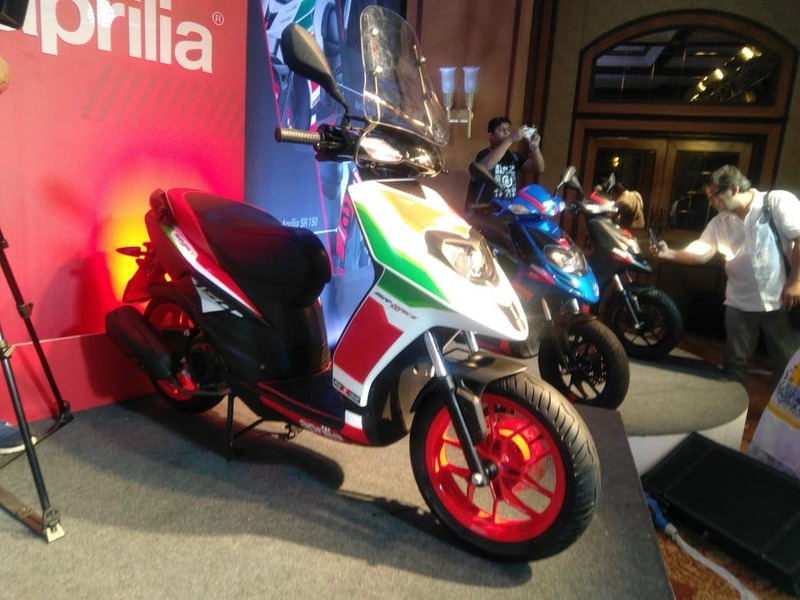 2019 Aprilia SR 150 Carbon Launched in India at Rs. 73,500. 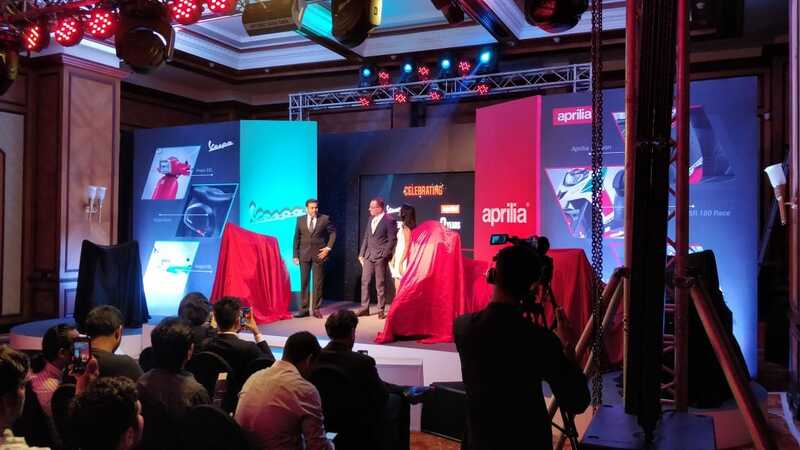 2019 Aprilia SR 150 Race Launched in India at Rs. 80,211. 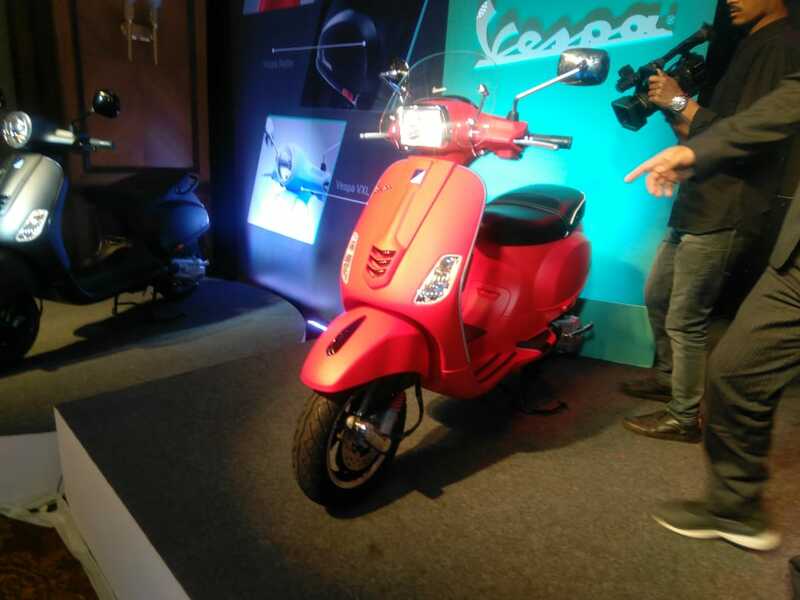 Piaggio launches updated 2019 Vespa VXL 150 at Rs. 91,140, while the top-end SXL 150 has been priced at Rs. 97,276. Aprilia SR150 and SR150 Race now comes in new colour options for the 2019 MY. From Auto Expo, we have the new Carbon Edition which will be offered in limited numbers and an all-new Blue share. The SR 150 Race on the other hand gets a new white colour option with new features. Piaggio says the new colours are inspired by Aprilia's MotoGP bikes. 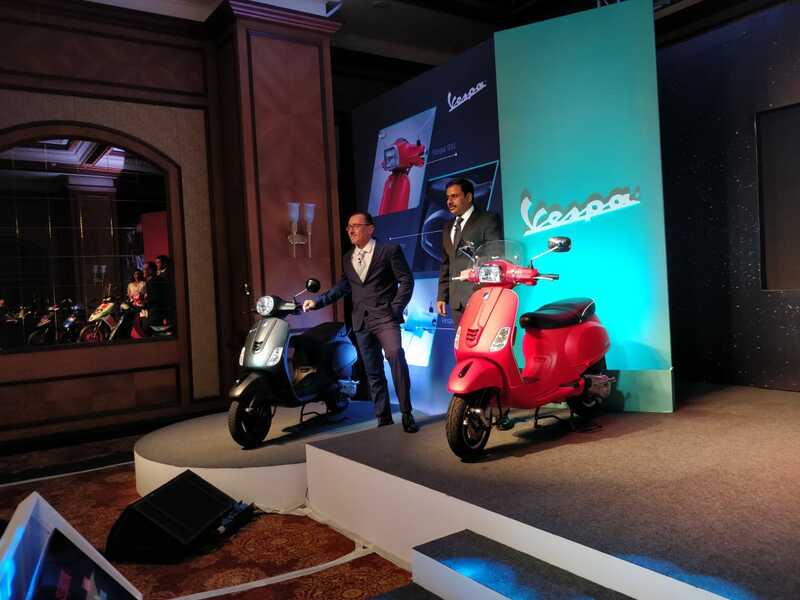 Piaggio has launched the updated Vespa models for thr 2019 MY. The app connectivity feature is on the top Variants. 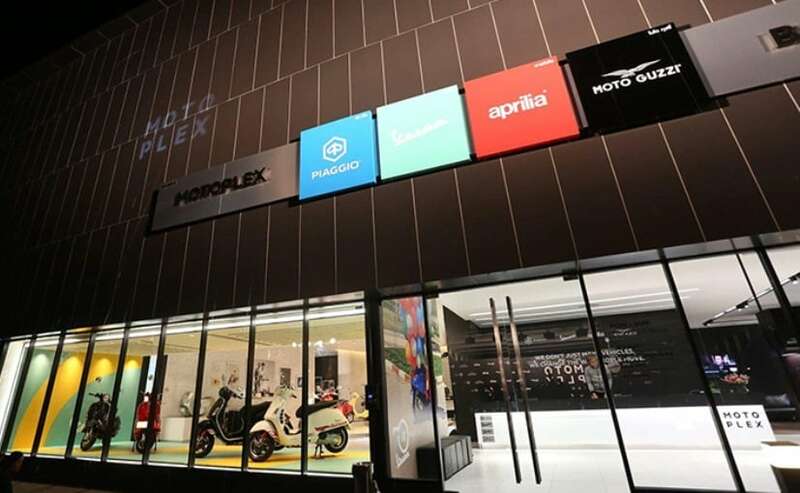 Piaggio has launched a new connectivity app available on Android and iOS for Vespa and Aprilia customers. We finally get some clarity on what exactly is Piaggio's Aprilia is launching today. Yes, as we had suspected, the manufacturer is launching the updated Aprilia SR150 Race. Vaspa, on the other hand, will also be launching updated version of the SXL and VXL. Is 2018 Aprilia SR15 Race Also Getting A New Colour Today? 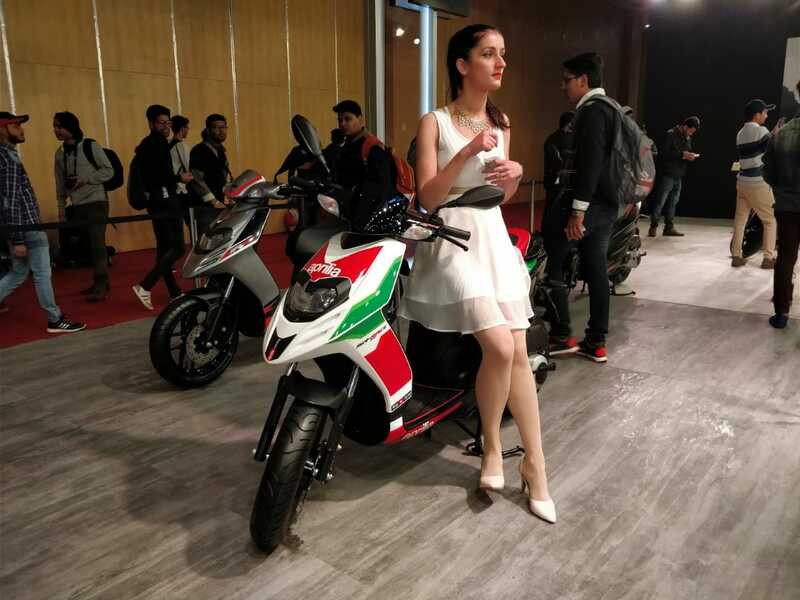 Also, at the Auto Expo, Aprilia had showcased a new white shade of the SR 150 Race edition, with the brands racing livery. It's possible that Piaggio might have planned this one as well for today's launch. Another new Aprilia SR150 we saw at the Auto Expo was a new Matter Green shade. While there is no confirmation for this one either, we also expect this one to be a part of today's launch. 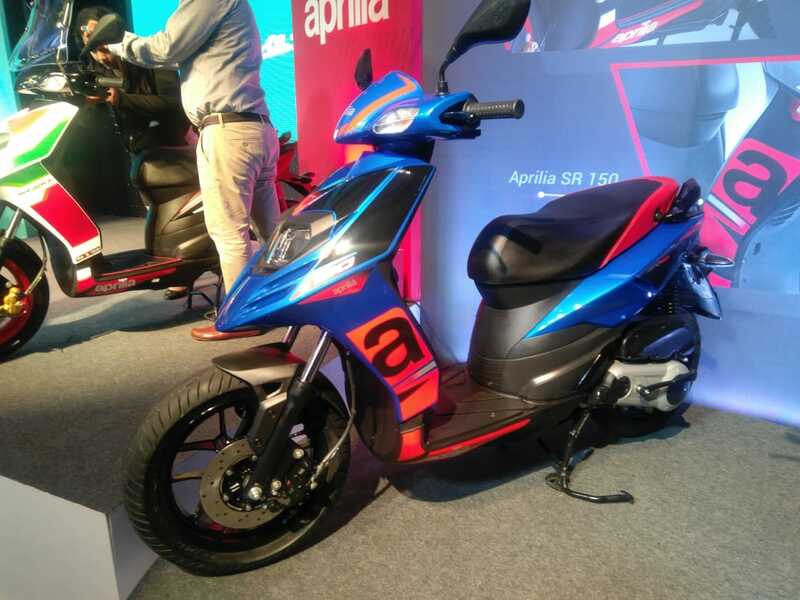 Is Aprilia Launching The New SR150 From Auto Expo 2018? 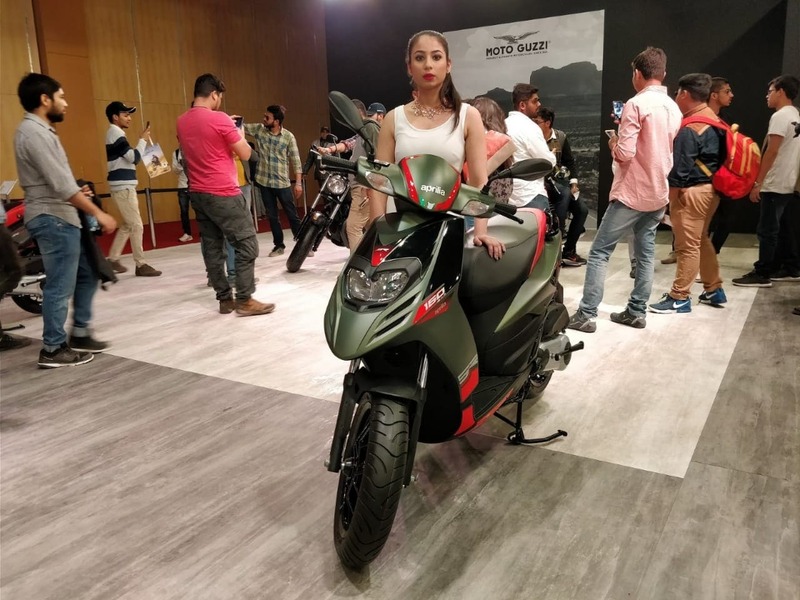 Aprilia had showcased a couple of special edition models of the SR150 at the 2018 Auto Expo, mainly a Carbon edition and a Matte Green edition. While the company hasn't confirmed anything yet, we suspect these new scooters to be one of today's launches. 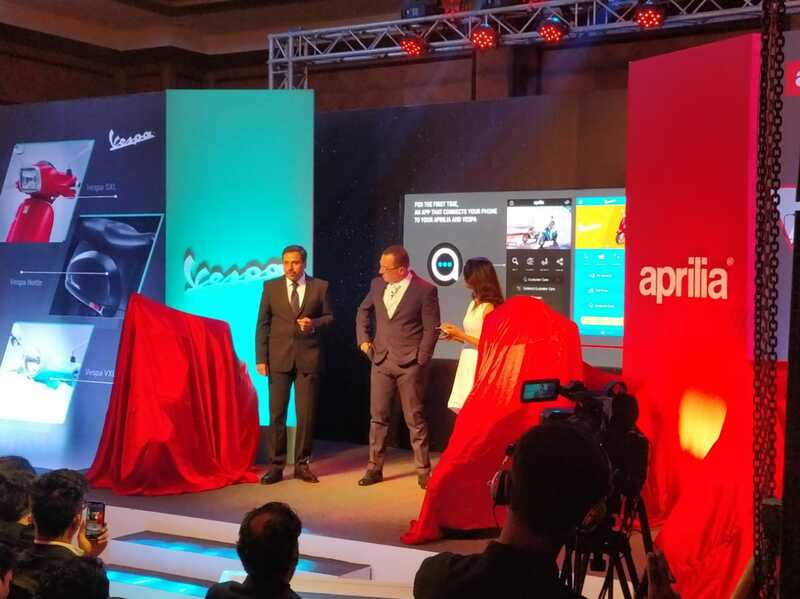 Along with the new two-wheelers from Vespa and Aprilia, Piaggio has said that it will also launch new, advance technological mobile connectivity system today. 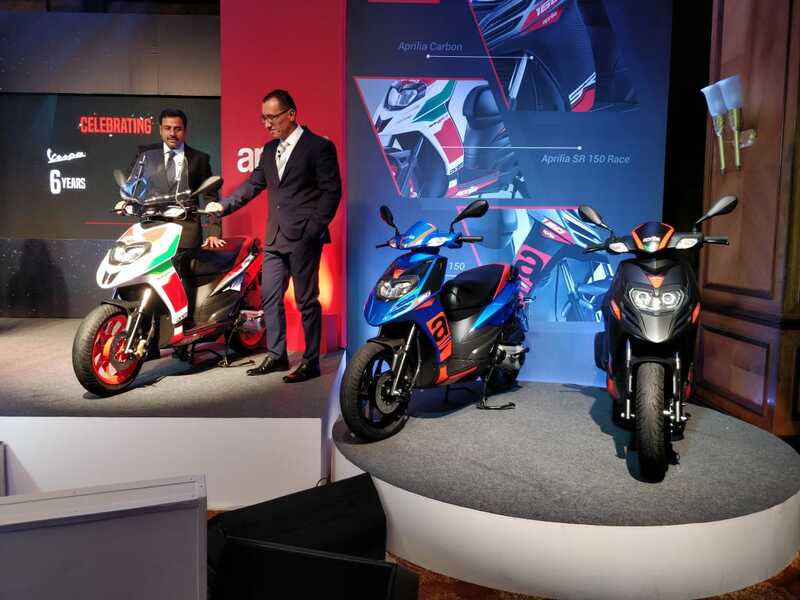 Piaggio India will launch new two-wheelers from the stable of Aprilia and Vespa, which the company has pegged as stylish and high performance vehicles. What they are is still unknown, but stay tuned as we find out more information for you.